“I don’t need to have my cholesterol checked until I’m middle-aged.” The American Heart Association recommends you start getting your cholesterol checked at age 20. It’s a good idea to start having a cholesterol test even earlier if your family has a history of heart disease. Children in these families can have high cholesterol levels, putting them at increased risk for developing heart disease as adults. 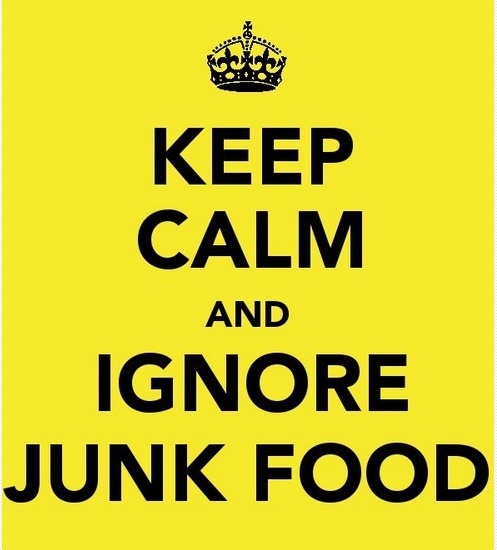 You can help yourself and your family by eating a healthy diet and exercising regularly. “This pain in my legs must be a sign of aging. I’m sure it has nothing to do with my heart.” Leg pain felt in the muscles could be a sign of a condition called peripheral artery disease. PAD results from blocked arteries in the legs caused by plaque buildup. The risk for heart attack or stroke increases five-fold for people with PAD. “I should avoid exercise after having a heart attack.” No! As soon as possible, get moving with a plan approved for you! Research shows that heart attack survivors who are regularly physically active and make other heart-healthy changes live longer than those who don’t. People with chronic conditions typically find that moderate-intensity activity is safe and beneficial. The American Heart Association recommends at least two and a half hours of moderate intensity physical activity each week. Find the help you need by joining a cardiac rehabilitation program, or consult your healthcare provider for advice on developing a physical activity plan tailored to your needs. Nationally, nearly 36 percent of adults are obese, and businesses are spending billions to make everything from bathrooms to sports stadiums easier for them to navigate. The U.S. spends an extra $4 billion in gasoline every year to drive overweight passengers on the road. 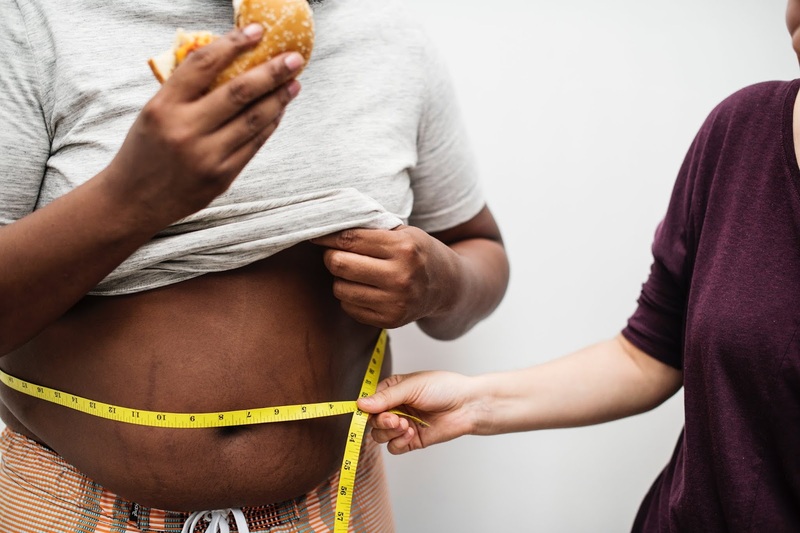 Estimated economic cost of obesity in America, or twice the amount previously estimated, taking into account everything from "wider stadiums seats to sturdier, floor-mounted toilets," says CBS News. The calculations were published in the Journal of Health Economics. Extra gallons of gasoline required to transport overweight passengers in the U.S. "Some costs of obesity reflect basic physics," says Reuters. "It requires twice as much energy to move 250 pounds than 125 pounds. As a result, a vehicle burns more gasoline." I love recipes where the ingredients can be easily assembled from your pantry and don't take too long to assemble. 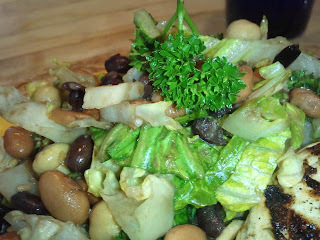 We recently enjoyed the recipe Honey-Balsamic Bean Salad (serves 6 and has 258 cal per serving) that meets both ideals. The three beans it uses are chickpeas, pinto beans and black beans-- all easily bought in a low salt canned varied. And to avoid any chopping you can buy a pre-packaged and torn romaine lettuce which is part of the ingredients. The dressing is a light vinaigrette with a touch of honey. We found it a great summer salad. 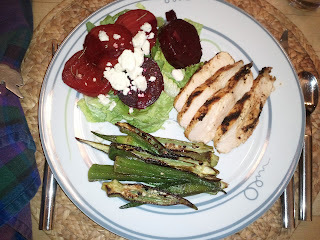 I paired it with with Grilled Herb-coated Chicken Breasts (169 cal) and Raspberry Asparagus Medley (65 cal). It made for a delicious summer dinner. A definite repeat. Forgetfulness A Sign Of A Sugar High? 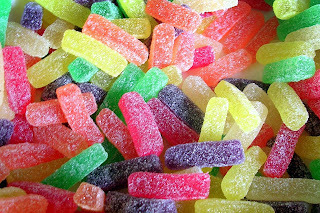 What if we told you there were healthy sweet alternatives? Take a look at our new FREE healthy holiday baking eBook! I am in the mood to use fresh herbes in everything! I found a recipe on line for Rosemary Cheddar Cornbread that looked to be focused on healthy ingredients AND used fresh Rosemary. For 137 calories per muffin, you can't beat the flavor packed into this muffin for the amount of calories...worth every bite. What I liked was that egg whites were incorporated along with unsweetened applesauce and olive oil. The milk was fat free, too. After tasting a muffin myself, I think I could even lessen the sugar by a tablespoon improving its "healthiness" and perhaps bring out the flavor of the Rosemary even more. I tried them out on family and friends. They all thought they were delicious! Looking forward to repeating this recipe. 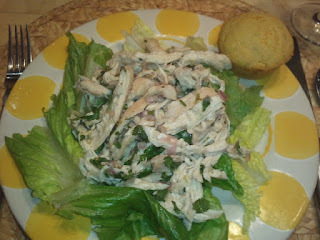 See my previous blog entry where I paired these muffins with a Cilantro Chicken salad for a great summer dinner. 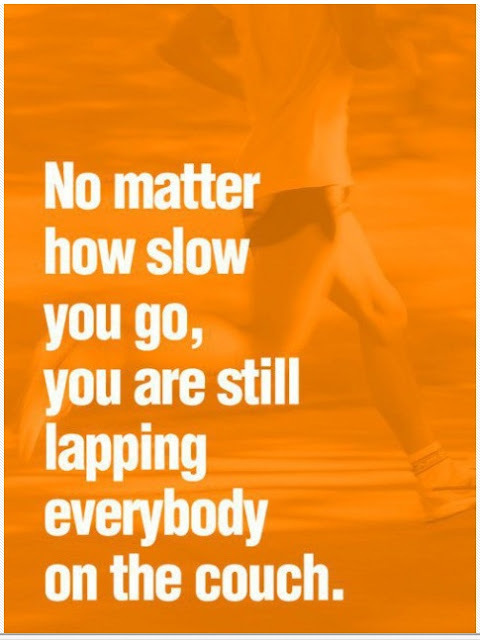 As we spend more time outside during the summer and add more physical activity into our routine, it is nice to have a reference for our calorie burn. Physical Activity and Calories. The chart below shows the approximate calories spent per hour by a 100-, 150- and 200- pound person doing a particular activity. When is gets hot I am in the mood for salads that are light to the taste but packed with flavor. I tried out a recipe for Cilantro Chicken Salad I found on online. It serves 4 and has 230 calories per serving. I paired it with Rosemary Cheddar Cornbread muffins (113 cal) to complete the menu for a total of 343 calories for the meal. The chicken salad was delicious! 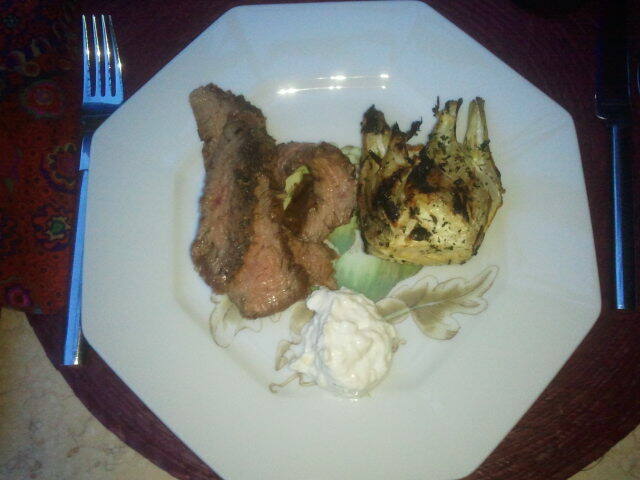 It was light and very flavorful. The dressing was lime juice and olive oil and anchovy paste with lots of goodies thrown in like cilantro, garlic, shallots with some salt and pepper. It does call for 1/2 teaspoon of sugar. I substituted Agave. The chicken is poached in broth with a little soy sauce and lime zest....couldn't be easier. I served the chicken salad on top of shredded Romaine lettuce. It was a big hit and a definite repeat. This recipe would be great for lunch and would be well received with friends. It is in my bones. 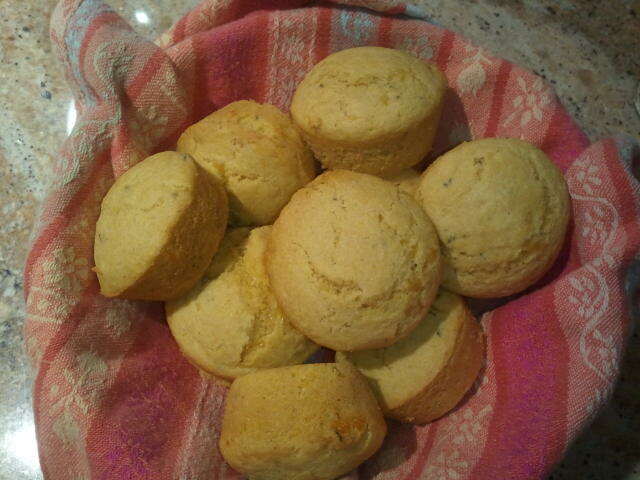 I love trying new things, even when I already have a great recipe. You just never know when you'll come across another great & tasty recipe. It is just who I am! Well Monday night I put a Chicken Picata recipe on the menu for dinner. This time it was from a new favorite source- The Now Eat This! cookbook from Rocco DiSpirito. All the recipes I have tried from his books have been good. 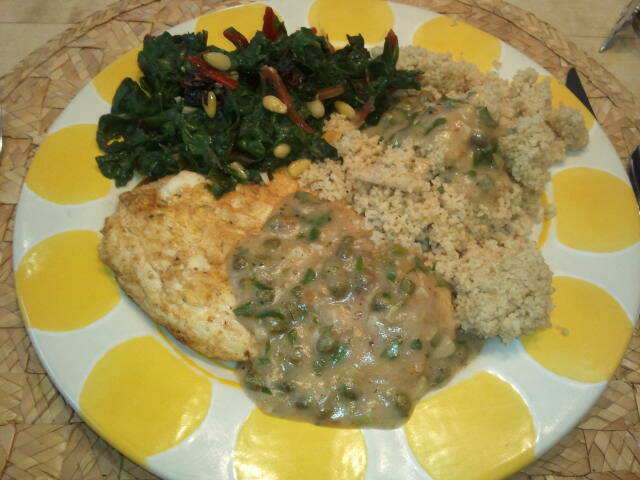 This one was too...but not as good as the one I have used from Cooking Light! 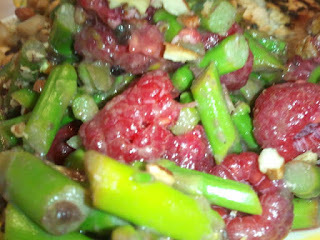 (check out my blog for April 18, 2012) One of the big differences is that the DiSpirito recipe has a sauce with it. It is also egg battered and coated with flour. It just has too much stuff on it. The purest in me likes the simplicity of the Cooking Light Chicken Picata. I also want the biggest bang for my calories. The DiSpirito recipe didn't deliver. A lot more calories (241 cal compared to 160 cal) with out the benefit of a better taste experience. You live and you learn...while having a lot of fun trying out new things! Try your own comparison and let me know which recipe is your favorite. Apps for Health--one that's good for the soul and body! As I have mentioned in previous emails, I travel regularly. 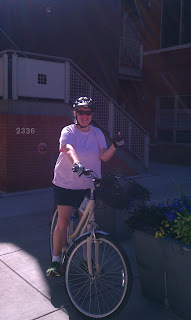 Fitting in exercise and peace of mind while I travel is always a challenge. I read about this App and it seemed to be impressively complete and surprisingly adaptable. I plan on checking it out! Thought I would share it with you now as well. If you check it out, let me know what you think! Why you want it: Have mat, will travel. Take your practice with you anywhere thanks to this Gaia Flow Yoga app. Choose from 3 different difficulty levels (Beginner, Intermediate, Expert), 3 different durations (30, 45 or 60 minutes) and 3 different classes for a total of 27 different yoga experiences that you can do at home, on the go or anywhere you can set up your smart phone. Just place near your mat and the app will verbally (and surprisingly peacefully) guide you through your workout with detailed instructions and cues for proper breathing. There is also a dictionary, which contains descriptions and benefits of common yoga poses, and a history log, which will keep track of all your Pocket Yoga workouts. We were having a "Farewell" Dinner for my son (he is off on an adventure in Southeast Asia) and I wanted to have something fun and flavorful. One of the tricks to constructing a menu is matching flavors of the different parts of the meal. You want the dishes to support or complement each other, not conflict or confuse the palette. I have started paying more attention to this. Sometimes I am more successful than others. This particular menu seemed to work. 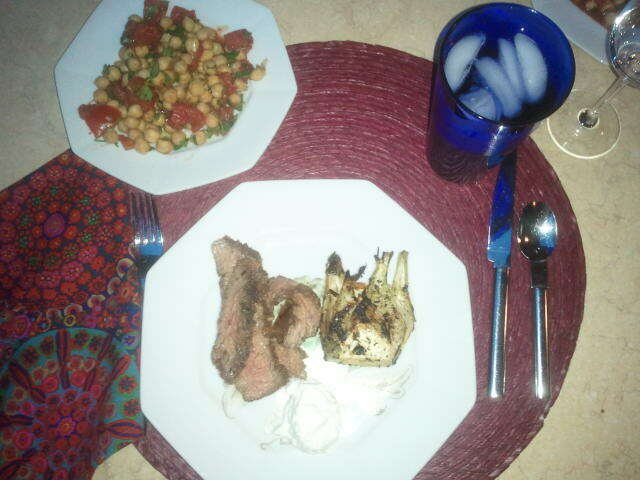 I matched a Tangy Flank Steak with Horseradish Cream (238 cal) from Cooking Light with a Southwestern Garbanzo Bean Salad (211 cal), also from Cooking Light. The menu was completed with Simply Grilled Fennel (27 cal). The total calories for the menu was 476. It was amazing how well the flavors worked together. The menu was summery in outcome. The flavors did not compete but were lively together, each distinctive. Each held their own for the meal. The compliments were many. A definite repeat.